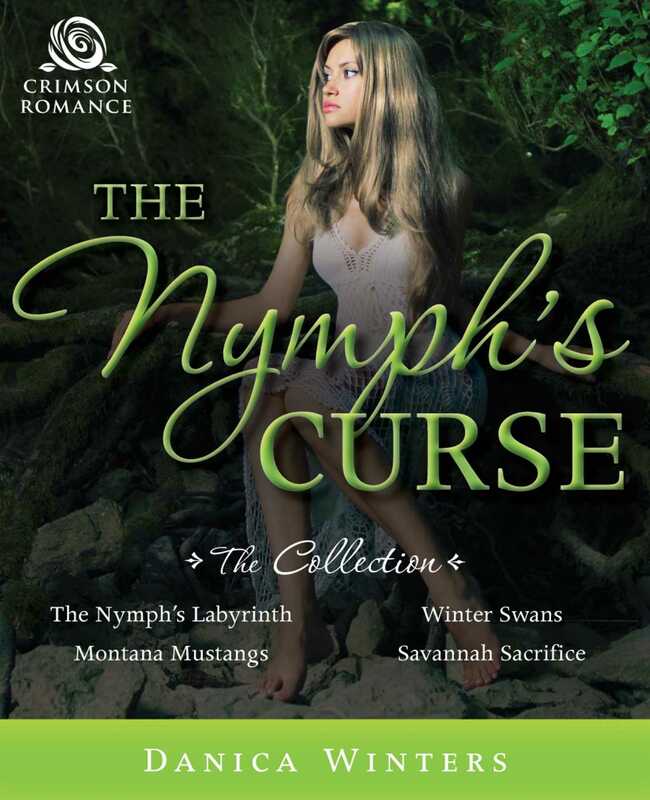 The Nymph's Labyrinth: Shape-shifting nymph Ariadne Papadakis must keep the truth of the nymphs' existence far out of reach from American archeologist Beau Morris. But will the task force her to sacrifice her own happiness? Montana Mustangs: As an ill-fated nymph, Aura Montgarten has spent her lifetime hiding from love. Until a body washes up on the shore of a rural Montana lake, bringing police officer Dane Burke to her part of the world to get to the bottom of this mystery--and more. Winter Swans: Single dad and professional poker player Chance Landon is on a lone-wolf crusade to find his ex-wife's killer. But when his daughter's life is also threatened, he must enlist the help of the beautiful swan-shifting nymph Harper Cygnini. Will Chance gamble on a future that involves falling in love or is that one bet he is unwilling to take? Savannah Sacrifice: For young nymph Starling Jackson, being a demi-god means a life filled with tormenting spirits--and she's determined to quiet them forever. The problem is, she needs her bodyguard, Jasper Gray, to infiltrate the enemy's hotbed. Can she work that closely with the hunky protector without falling in love and signing his death warrant?